The 2018 Mountain Bear Harvest was the second best season on record with a total of 124 bears taken. This included 55 during the still hunt and 69 during the dog hunt which included 66 males and 58 females taken in three counties. 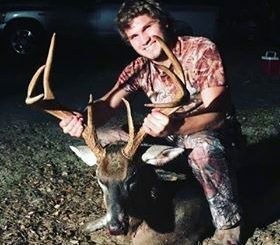 James Williams had not killed a “good” deer in over 30 years. 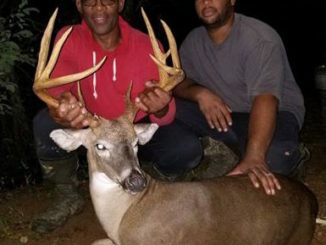 Lamont Williams, his son, was determined to help his father, who taught him how to hunt, to finally get a trophy. After two misses, it was the third time that James finally got a prized nine-point buck that scored 133 5/8 inches of hard horns and weighed in at 165 pounds. Derrick Rogers of Weaverville, NC, drives down to the Apache Family Campground several times a year just to fish the Apache Pier in Myrtle Beach, South Carolina. 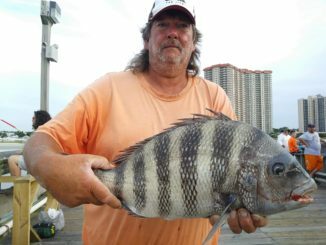 And on this pier, he only fishes for one thing — sheepshead. Tyler Craig, his dad, and his neighbors had all seen a trophy buck on trail cameras, but no one had seen the buck during the day. But when the deer went looking for love in the wrong place at the wrong time, Craig finally saw it and bagged it. 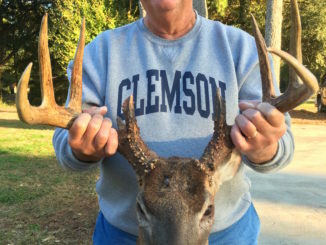 Gerald Foster of Seneca, S.C. and some friends have been drawn to hunt several different Wildlife Management Area (WMA) properties over the last 10 years. Foster said that Botany Bay is probably the most beautiful and now, his all-time favorite. 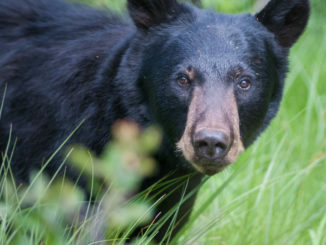 According to Tammy Wactor, SCDNR Wildlife Biologist and Upstate Black Bear Coordinator, the 2017 Bear Season was the second highest season on record. 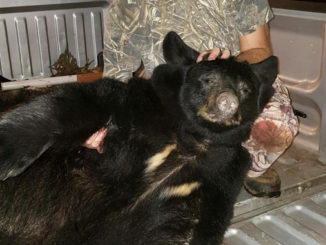 Phillip Gosnell, a 36-year-old water treatment operator from Landrum, took the largest bear of the Palmetto State’s 2017 bear hunting season. 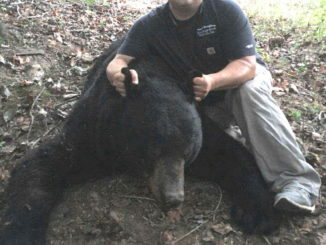 Gosnell was still hunting on 40 acers of private land in Greenville County when he took the 597-pound bear. 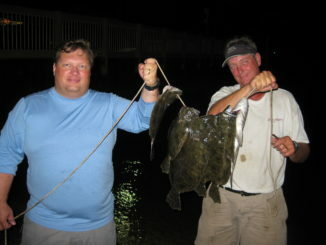 The Charleston area probably has the most places to gig for flounder in South Carolina, if you include the Isle of Palms area, the creeks in the Wando and Cooper rivers and Bulls Bay to the north, as well as the creeks off the Folly River and behind Kiawah Island to the south of the city. 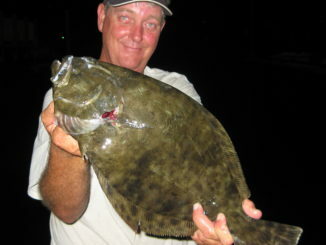 In South Carolina, fishermen can gig 15 flounder per day, with a maximum of 30 per boat per day, with a 14-inch size minimum. It gets mighty hot on the Carolinas’ coast in July. Fishing during the day can be a sweltering experience, especially if there is little or no wind blowing. 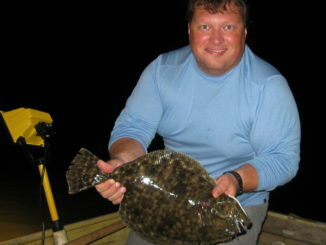 An alternative is to go flounder-gigging at night to beat the heat. 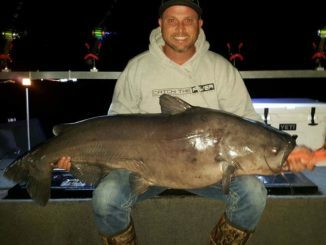 Paul Blackwell and his two daughters all caught their “personal best catfish” while fishing on Lake Moultrie on March 3. 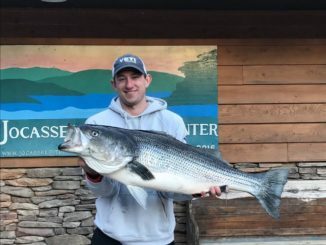 Lake Jocassee is known for large lake trout, great smallmouth and largemouth fishing, but anyone in the Upstate will tell you the lake does not have stripers. Copyright 1999 - 2018 Carolina Sportsman, Inc. All rights reserved.